PLATINCOIN bietet vielfältige Möglichkeiten, Ihr Einkommen zu steigern. Allen voran das neue MINTING - eine lukrative Möglichkeit, um laufend neue Coins zu bekommen. Ohne “Expertenwissen” - Nur Hardware von PLATINCOIN mieten und täglich neue Coins erhalten! Im nächsten Video erfahren Sie, was "Minting"
genau ist und wie Sie selbst damit rund um die Uhr passiv Geld verdienen können. PLATINCOIN freut sich, Ihr Partner zu werden, und bietet Ihnen große Möglichkeiten, Ihr Einkommen zu steigern. Denn wir halten, was andere nur versprechen. Platincoin Wallet (online Brieftasche) für Android und iOS Plattformen. Ihr privater Schlüssel wird nur auf Ihrem Smartphone gespeichert. Sichere und unkonventionelle Verschlüsselung Ihres privaten Schlüssels und der verschlüsselten Datenspeicherung im Gerät. Noch nie dagewesenes Sicherheitsniveau. Wir haben die bekannte Smartphone-Technologie mit der Blockchain-Technologie der Zukunft kombiniert, um eine große Zielgruppe für den Coin zu gewinnen. Lassen Sie sich zeigen, wie Sie ein Teil der Platinocin Community werden! 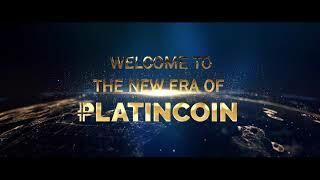 Alle Angebote von Platincoin richten sich sowohl an Privatpersonen, als auch an Unternehmen. Unter Berücksichtigung der aktuellen europäischen Datenschutz-Grundverordnung informieren wir Sie nachfolgend mit vollständiger Transparenz darüber, welche Daten von Ihnen wir durch Ihre Eintragung auf unserer Webseite verarbeiten. Falls Sie sich über die Empfehlung eines Platincoin-Partners auf unserer Webseite oder zu unserem Webinar anmelden, dann auch die Platincoin Affiliate-ID sowie der Benutzername des Benutzerkontos dieses Affiliates. Während eines Webinars oder Anschauen von Videos und Informationen laden wir in regelmäßigen Abständen Tagging-Pixel von uns und weiteren Anbietern wie beispielsweise Facebook, Google AdWords, AdRoll etc. 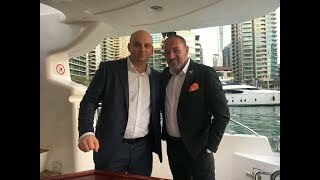 Dadurch kann Platincoin erkennen, ob und bis wann Sie am Webinar teilgenommen haben, für das Sie sich angemeldet haben, und welche Informationen Sie sich angeschaut haben. Sofern Sie diese Informationsvereinbarung geschlossen haben, weisen wir Sie auf folgendes hin: Mit dem Informationsvertrag verpflichten wir uns, Ihnen maßgeblich Informationen zu unseren Produkten, Dienstleistungen sowie allen weiteren Themen, die in den Allgemeinen Informationsvertragsbedingungen bezeichneten sind, über alle denkbaren Kontaktkanäle (Briefpost, SMS, E-Mail, Messenger, soziale Netzwerke und vergleichbare Kontaktkanäle) an Sie auszuliefern. Hierfür entstehen für Sie keine Kosten. Soweit Sie im Rahmen eines Double-Optin-Verfahrens in eine Datenspeicherung eingewilligt haben, speichern wir Ihre Daten bis zum Widerruf der Einwilligung. Dieser kann durch Ihre formlose Nachricht an support@platin-genesis.com erfolgen. Ihre Einwilligung können Sie auch einfach dadurch widerrufen, indem Sie den in jeder E-Mail enthaltenen Abmeldelink anklicken. Verlassen deine Daten die Europäische Union oder den europäischen Wirtschaftsraum? We at PLATIN GENESIS take privacy protection and data protection very seriously. The user (who may be a prospective customer, a current or former customer or a sales partner of our Company) can visit our website anonymously and his/her Internet browser sends the following data to our web server by default each time: the date and time of access, the sender's IP address, the requested resource, the http method and also the http user-agent header. However, our web server stores this data separately from other data, whereby it is not possible to match this data to a particular person. This data is deleted immediately after an anonymous evaluation for statistical purposes. Any personal data sent to us by the user voluntarily is stored by our company in a data centre with due regard to the current security standards and protected against unauthorised access by a third party. We do not disclose this data - subject to a different subsequent disclosure rule - unless we are required to do so by legal or administrative order or the user has given us his/her explicit consent to do so. We would like to explain which data we collect, why we use it and how we protect it. Which data is collected and why is it processed? (1) When the user registers as a customer via PLATIN GENESIS , we collect the data necessary to establish a contractual relationship; this is in particular the name and surname, address, date of birth and email address ("Contact Data"). We collect this data in accordance with Art. 6 Para 1 lit. b of the DSGVO (General Data Protection Regulation) on the basis of the contract concluded with the user for the purpose of performing the contract. (2) When the user creates an order as a customer via PLATIN GENESIS (for example, conclusion of a rental agreement for network computers or minting units) or registers as a sales partner entitled to a commission, we collect the data necessary to implement the particular contractual relationship; this is, in particular, the name and surname, address, date of birth, email address, telephone number (Contact Data) and depending on the selected method of payment, the bank details or credit card data (bank data). Furthermore, we collect the data for the order i.e. which products the user has ordered as a customer, the price at which they are ordered (order data), and for sales partners, the customers to which the sales partner distributes a product and the new sales partner gained by him to distribute our goods. We require this data to perform the contractual relationship. In case of a customer's order, the performance of the contract consists of sending the ordered goods to the customer, granting digital right of use or delivering a rented object and in return, settling our payment claim. When registering as a sales partner, the performance of the contract consists of paying the commissions to the sales partner for the distribution activities performed and sending the ordered goods to the sales partner, granting digital right of use or delivering a rented object and in return settling our payment claim. We collect this data in accordance with Art. 6 Para 1 lit b) of the DSGVO (General Data Protection Regulation) on the basis of the contract concluded with the user for the purpose of performing the contract. (3) When the PLATIN GENESIS website is used, the usage data such as the static and dynamic IP address is collected through the Internet connections. We use the resulting usage data within the framework of the legal requirements only to prevent misuse and disruptions and also to optimise our offer. We collect this data in accordance with Art. 6 Para 1 lit f) of the DSGVO (General Data Protection Regulation) in order to safeguard our legitimate interests, i.e. to optimise our offer. (1) Personal data is collected only to the extent that the user discloses it voluntarily during the registration process (or the subsequent order process). PLATIN GENESIS uses the transmitted personal data (for example, the title, name, address, email address) without separate explicit consent in accordance with the provisions of the applicable data protection law exclusively for the purpose of performing the contract, i.e. for the delivery and payment for customers and also for the commission payments to sales partners. This data is processed in accordance with Art. 6 Para 1 Lit b) of the DSGVO (General Data Protection Regulation) on the basis of the contract concluded with the user for the purpose of performing the contract. (2) When the user places an order as a customer or sales partner at PLATIN GENESIS, the user's contact and order data is forwarded to our internal ordering and accounting departments, to the forwarding agent, insofar as this is necessary to deliver the goods, and also to the particular payment provider. The aforementioned third parties are also required to use the user's personal data exclusively in accordance with the provisions of the applicable data protection law. The aforementioned data processing takes place in accordance with Art. 6(1)(b) of the DSGVO (General Data Protection Regulation) on the basis of the contract concluded with the user for the purpose of performing the contract. If the user registers for the PLATIN GENESIS newsletter, he/she grants PLATIN GENESIS separate consent to use the personal data such as the name and email address for the purpose of advertising our products and our company. The user may cancel or revoke the subscription to this newsletter and therefore the consent granted to store the data at any time for the future. The details on this can be found in the confirmation mail and any newsletter. A link is provided at the end of every newsletter to cancel the newsletter on a cost-neutral basis. (1) How safe is the data transfer to PLATIN GENESIS? Any data provided by the user to PLATIN GENESIS is encrypted and sent using the SSL (Secure Socket Layer) process. SSL is a proven encryption system used worldwide that allows the browser to automatically encrypt the data before it is sent to us. (2) How safe is my data on the PLATIN GENESIS database? We apply high security standards to our database and our Internet server in order to guarantee effective protection against loss, misuse, unauthorised access, disclosure, modification and deletion of the user data. We process the user's data only until it is necessary to perform our contract or to comply with the existing legislation. If the user requests his/her data to be deleted, we will delete the data without delay, provided that deleting it is not in conflict with the legal obligations to keep records. Furthermore, the user's data is deleted once the contract is fully implemented. This data processing takes place in accordance with Art. 6 Para 1 Lit f) of the DSGVO (General Data Protection Regulation) in order to safeguard our legitimate interests, to prevent misuse and disruptions and also to optimise our offer. 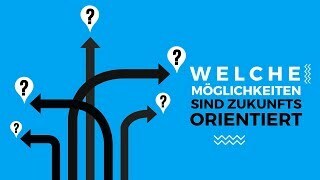 (1) a) PLC Group AG d.o.o. is the financial administration for Platinum Genesis DMCC. All incoming payments in the group are managed, processed and booked there. We use Google Analytics only when the IP anonymisation feature is enabled. In other words, the user's IP address is truncated by Google within the Member States of the European Union or in the other contracting states of the Agreement on the European Economic Area. Only in exceptional cases will the full IP address be transferred by Google to a server in the USA and truncated therein. The IP address sent by the user's browser is not combined with the other Google data. Find additional information on the use of data for advertising purposes by Google, settings and opt-out options on the Google websites: https://www.google.com/intl/de/policies/privacy/partners/ ("How Google uses data when you use our partners' sites or apps"), http://www.google.com/policies/technologies/ads ("Use of data for ads"), http://www.google.de/settings/ads ("Managing information used by Google to display ads") and http://www.google.com/ads/preferences/ "Select which ads Google can show you"). The user should note that if he/she deletes the cookies in the browser settings, the opt-out cookies could also be deleted and would have to be enabled again. This data processing takes place in accordance with Art. 6 Para 1 lit f) of the DSGVO (General Data Protection Regulation) in order to safeguard our legitimate interests, i.e. to optimise our site. This data processing takes place in accordance with Art. 6(1)(f) of the DSGVO (General Data Protection Regulation) in order to safeguard our legitimate interests, i.e. to optimise our offer. Beyond the aforementioned data protection declaration, personal data sent to PLATIN GENESS is not made accessible to third parties without separate consent of the user, unless this is required by legal or administrative order. request the transferability of your data. For this purpose, support is available at the email address support@platin-genesis.com or on the postal address mentioned at the beginning of this document.